As Thanksgiving draws near, I’m thankful for the handful of record and marketing companies who’ve seen fit to share tunes with AM, Then FM over the course of this year. Their generosity and their willingness to work with music blogs make the following recommendations possible. These are things I’ve heard and liked, and things you might like. 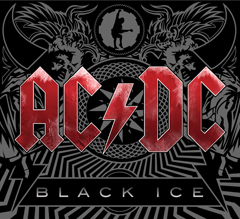 AC/DC: “Black Ice,” the new record, and “No Bull: The Director’s Cut,” a live concert DVD. Neither breaks any new ground, but if you like AC/DC, you’ll like these. I put “Black Ice” to the usual Car Test, spinning it several times as I was driving. None of the songs struck me as being great, and its 15 songs are at least five too many, but I enjoyed it nonetheless. The following cut most of all, I think. “Spoilin’ For A Fight,” AC/DC. from “Black Ice,” 2008. It really made me want to see them again. AC/DC is best experienced live. “No Bull” gives that a go, with a July 1996 show set against the spectacular backdrop of the Plaza De Toros De Las Ventas in Madrid. This DVD will give you a taste of what an AC/DC show is like, but you really have to be there. The venue is the best thing about this DVD. The production and sound quality leave a bit to be desired. 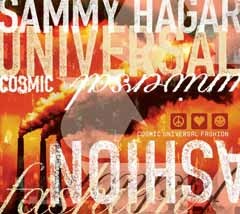 Sammy Hagar: “Cosmic Universal Fashion,” the new record. As I wrote a year ago, Hagar is an acquired taste, but I’ve really come to dig his shows. After listening to this record, I’d really rather see him live. This records is like one of Hagar’s shows — not for everyone, but full of energy, full of attitude, with some new stuff, some old stuff and even a cover of the Beastie Boys’ “Fight For Your Right To Party.” Which, of course, is better heard live. The following cut has a nice, laid-back vibe to it. The Wabos sing it as they warm up for shows. That’s his bassist, Mona, on the harmonies. “When The Sun Don’t Shine,” Sammy Hagar, from “Cosmic Universal Fashion,” 2008. Lindsey Buckingham: “Gift of Screws,” his latest record. As I wrote last month, I wasn’t all that familiar with Buckingham as a solo artist, but this one passed the Car Test with flying colors. “Love Runs Deeper,” Lindsey Buckingham, from “Gift of Screws,” 2008. Worth another listen. Buckingham wrote it with his wife, Kristen. 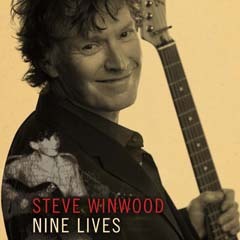 Steve Winwood: “Nine Lives,” his latest record. I am a bit more familiar with Winwood as a solo artist. As I wrote earlier this year, this one also passed the Car Test with flying colors. “We’re All Looking,” Steve Winwood, from “Nine Lives,” 2008. Lots of nice Hammond organ on this one. Alan Wilkis: “Babies Dream Big,” his debut record. AM, Then FM is mostly about rediscovering veteran artists rather than discovering new indie artists. However, we were part of the first wave of good buzz about this Brooklyn artist when we interviewed him earlier this year. Wilkis takes all kinds of ’60s, ’70s and ’80s influences, throws them in the blender and creates something new, yet it still sounds familiar. He plays almost everything himself and does all the vocals. “I Love The Way,” Alan Wilkis, from “Babies Dream Big,” 2008. A little blue-eyed soul, anyone? We exchanged e-mails earlier today, and Alan says he’s “working a lot these days, pluggin’ away on a new EP. Hopefully going to be six songs, hopefully ready in the next two months.” Looking forward to it. 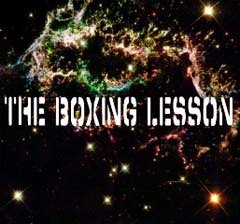 The Boxing Lesson: “Wild Streaks & Windy Days,” its first full-length record. If you wondered whether anyone still makes music to get stoned to, the answer is yes. This Austin, Texas-based band does the job quite nicely. Heavy, moody, dreamy. “Muerta,” The Boxing Lesson, from “Wild Streaks & Windy Days,” 2008. If we’re lucky enough to get a review copy, it gets put to The Car Test. I put it in the car and play it whenever I’m driving. That way, it gets heard more than once. That way, I get a good sense of the album. 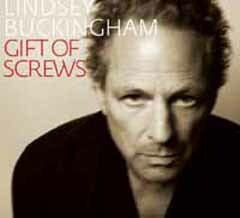 That said, a few words about “Gift of Screws,” the new album from Lindsey Buckingham. A confession: I don’t know much about Lindsey Buckingham beyond his work in Fleetwood Mac. I have none of his previous solo albums. “Love Runs Deeper” and “The Right Place To Fade” have a classic mid-’70s Fleetwood Mac vibe. Mick Fleetwood and John McVie join Buckingham on the latter. “Bel Air Rain” is more moody, more edgy, infused with an L.A. vibe and some fine guitar work by Buckingham. “This is probably the most rock ‘n’ roll album I’ve ever made,” Buckingham told John Soeder of the Cleveland Plain Dealer. That could be why I like it so much. “Love Runs Deeper” and “Bel Air Rain,” Lindsey Buckingham, from “Gift of Screws,” 2008.